Buscopan (hyoscine butylbromide) is an antispasmodic medication used to treat abdominal pain and cramps from irritable bowel syndrome (IBS), as well as menstrual cramps. Buscopan differs from other antispasmodic medication in that it does not cross the blood/brain barrier and only minimal traces of the medicine finds their way into the bloodstream. Rather, Buscopan acts locally on the muscles in the abdomen to prevent spasms from occurring. The benefit of this difference is that it avoids nervous system side effects such as drowsiness or dizziness. A meta-analysis undertaken to evaluate the effectiveness of IBS treatment options noted three clinical studies which indicated that Buscopan was more effective than placebo in relieving IBS symptoms. Additional clinical studies have found that Buscopan is well-tolerated with minimal side effects. However, a study using patients who suffered from "crampy abdominal pain", but not necessarily IBS, found that acetaminophen was just as effective as Buscopan as compared to placebo. 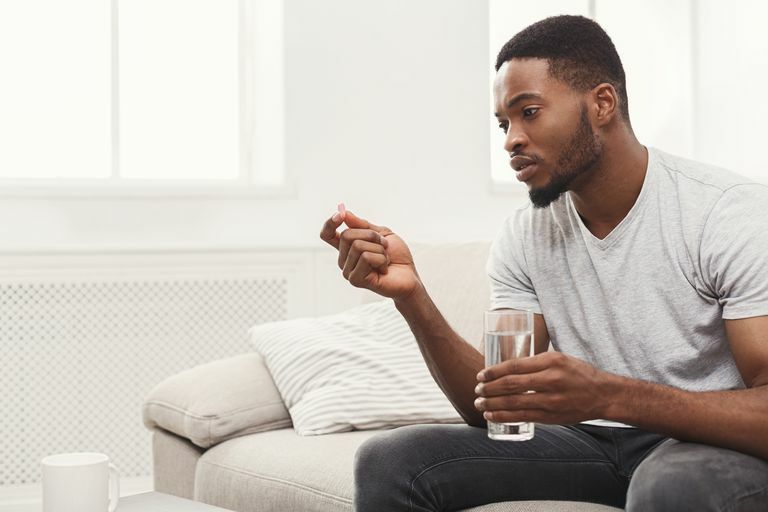 Buscopan is currently rarely prescribed in the United States but may be more commonly recommended by physicians outside the U.S.
Buscopan tablets should be taken whole, not chewed. Be sure to drink a full glass of water when taking Buscopan. Ford, et.al. “Effect of fibre, antispasmodics, and peppermint oil in the treatment of irritable bowel syndrome: systematic review and meta-analysis” BMJ 2008 337:a2313. Tytgat, G. "Hyoscine butylbromide: a review of its use in the treatment of abdominal cramping and pain."" Drugs 2007 67:1343-57. Mueller-Lissner, S. "Placebo- and paracetamol-controlled study on the efficacy and tolerability of hyoscine butylbromide in the treatment of patients with recurrent crampy abdominal pain" Alimentary Pharmacology and Therapeutics 2006 23:1741 - 1748. Are Iberogast Bitters Just What You Need for Your IBS? Can an Antibiotic Help Your IBS?